New! 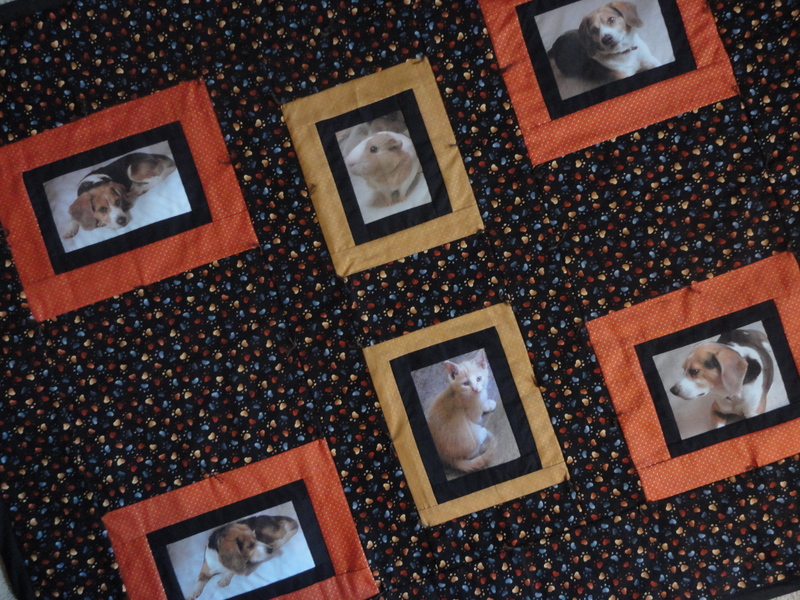 Our Pet Lovers Quilt. It must be Puppy Love. Or Kitty, what ever your favorite furry friend may be. 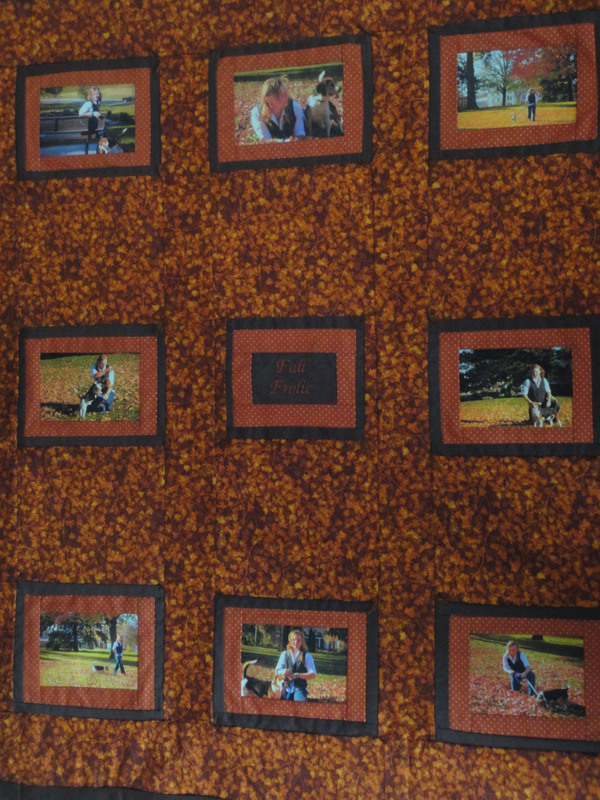 Send us pictures and we will create a beautiful memory for you, with our pet memory quilt. To order, or to see our full line of memory quilts and pillows click HERE. New For Fall! Our Autumn Themed Quilt. Autumn is just around the corner. Our Autumn themed quilts capture the beautiful colors that fall brings us. There are a variety of fall fabrics available. 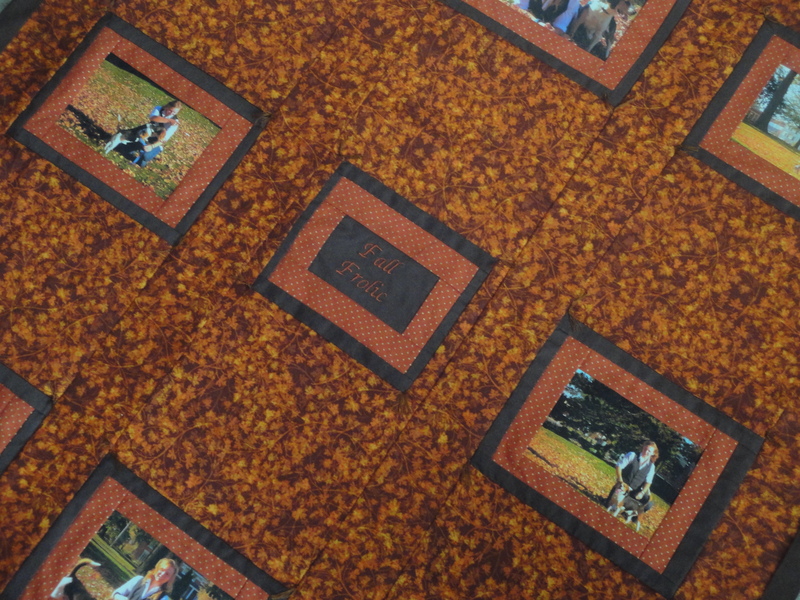 Contact us and we can find the perfect one to show off your favorite fall photo’s on a quilt or pillow. Visit our Shop at Etsy to see our full line of quilts and pillows to accent your home decor. https://www.etsy.com/listing/159802707/autumn-theme-photo-memory-quilt-fade? Our New Look is Just in time for The New School Year. Check out our School themed Items. Our photo wall hangings with 18 month calendars. and our Old Country School Pillows; A unique Keepsake gift for that special teacher. Check us out on Etsy https://www.etsy.com/shop/ConniesKeepsakeCafe for our full line of keepsakes.